For over 50 million years, bats and moths have been engaged in an evolutionary arms race: bats evolving new tricks to catch moths, and moths developing counter-measures to escape bats. Can a bird really dance to a beat? It is a question on the minds of many people this season: will adding alcohol to the homemade eggnog safeguard against salmonella? 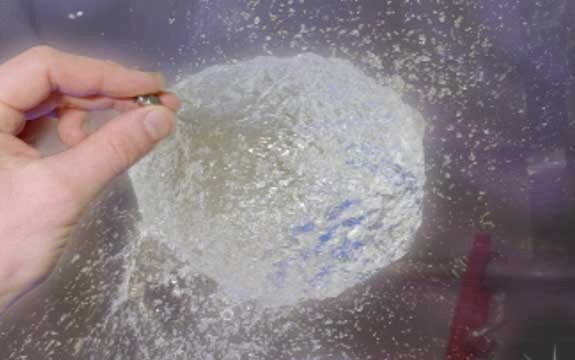 About ten years ago, two scientists had a little extra time on board NASA's low gravity aircraft and came up with the idea of popping water balloons.